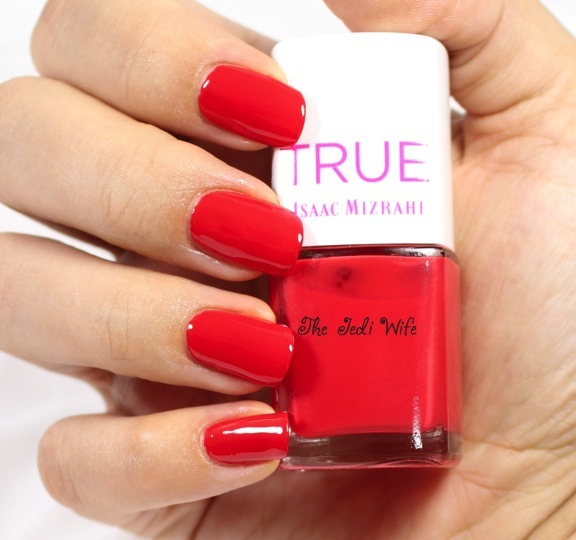 Adventures at Cosmoprof North America: True Isaac Mizrahi plus bonus polish swatch preview! Good afternoon, dear readers! 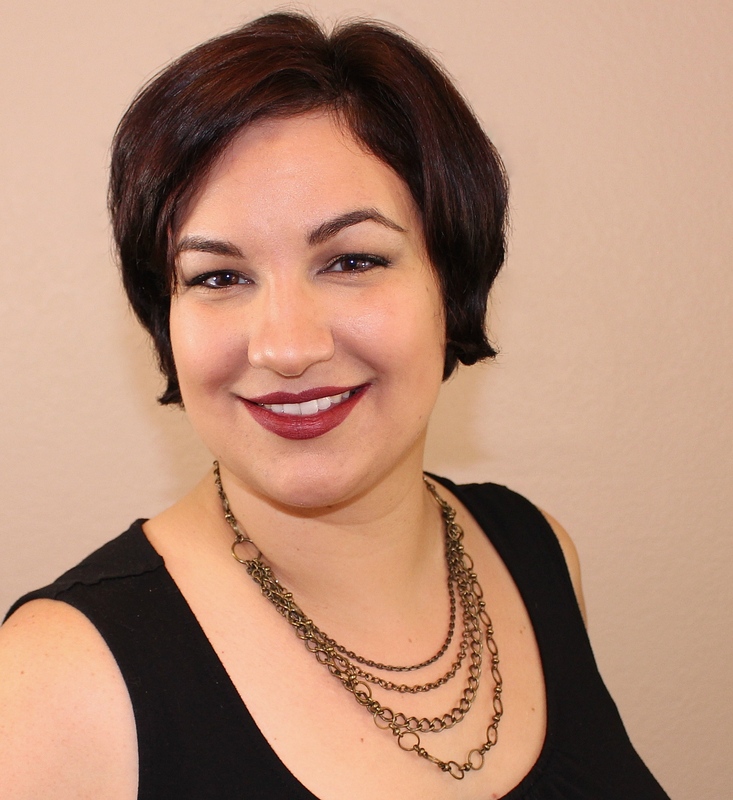 I have another preview of things soon to come in the beauty industry! 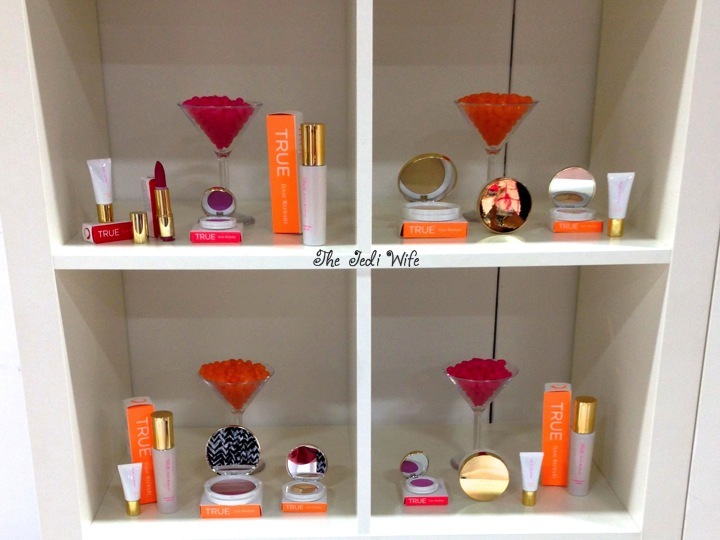 Today's post features one of my favorite booths at Cosmoprof North America: True Isaac Mizrahi. The legendary designer has teamed up with Being True Cosmetics to create True Isaac Mizrahi, a high-performance skincare and full colour collection. I fell in love with this vibrantly-coloured display! Martini glasses filled with jellybeans added a fun twist to the shelves with the gorgeous cosmetics resting next to them. I just couldn't take my eyes off of these lip products! The colours are lush and bold, and any woman should feel glamorous with these beauties. While I was visiting the booth, I was gifted a sample of one of the nail polishes that is part of the collection. My bottle does not have a name label on it, and I was informed this particular shade is going to be named "Happy". Let's check it out! Happy is a beautiful medium red creme polish. Against my olive skin tone, it is pulling slightly coral. Based on the colour in the bottle, I suspect it will pull slightly pink on blue-based skin tones. This is a gorgeous colour, and the formula was phenomenal. It applied easily and smoothly. I used two coats of Happy and then a single coat of top coat for these photos. 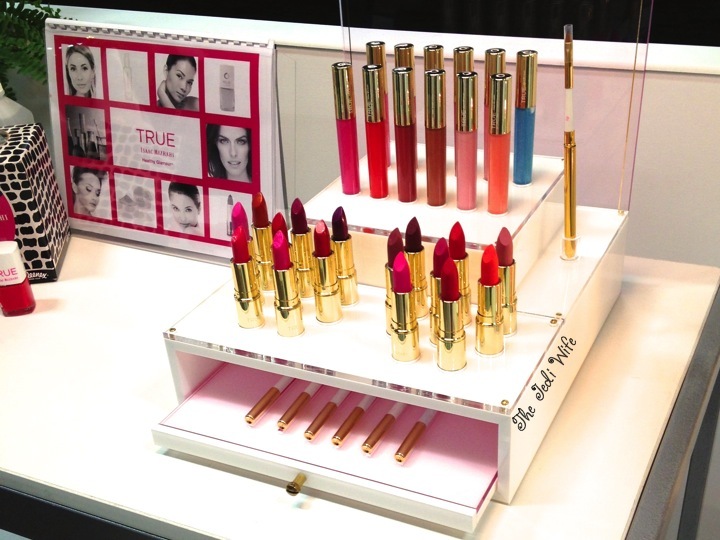 The official launch date of the True Isaac Mizrahi "Healthy Glamour" cosmetics collection was still to be determined during my visit, but I was told to expect to see these in stores mid to late September. The nail polish will be listed at $12. What do you think? Are you excited about these colours? Enjoy the rest of the week, dear readers! XO!